► Participate in Game Design meetings and create a level design consistent with the other level designs previously created. Taking part in all Game Designer's Tasks uch as balancing, play-testing and meetings. Enforcement of the Game Design Document in the creation of level design. Support game mechanics and narration to create non-linear level design. Producing testable and bug-free content with up-to-date gameplay features. Using Unreal Engine 4 to design, build and script levels (concept, layout, markup, polish). Production time: from August to December 2015. Locate the pod lauching bay to destroy it all and prevent the genestealer's escape from the Space Hulk. ► Create level design with a professional result used for test and setting up the working methodology (concept, layout, markup, polish). Creating test-purposed level designs and projects methodologies. Design a environmental storytelling consistent with the Warhammer 40.000 licence's univers. Iterative level design and use modular system of level design. Teaming up with the artistical director to produce aesthetic content. Respond to technical constraint: optimisation of used asset, level streaming, 60fps. Use Unreal Engine 4 for building: direction, scripting, ligthing. Make two interships on the same production one year apart allowed me a overview of a AA production's evolution during a 10 months professional experience. I have participate in two production's key point: end of pre-production (4 months intership) and end of production (6 months intership). In SpaceHulk Deathwing, one of the main character is the SpaceHulk himself, a drifting spaceship lost in space and Warp (alternate dimensions to the material univers). My first task was then to understand the univers of Warhammer 40.000, as that my work was to build a part of the main characters of the game. For that purpose, I have based my study on different books of GAMES WORKSHOP and on differents plane and boats plans, to allow the design of a credible and immersive level Design. During this internships, I leading my owne production pipeline. After somes research about iteration in modular level design, I decided to go into the working method described by Joel Burgess (Senior Designer, Bethesda Game Studio). This method has proven successful on production like Fallout 3 or The Elder Scrolls V : Skyrim. This research allow me to learn a rigorous structure about level design production (concept/layout/markup/polish) and also to get familiar to differents iterative level design process, like Continuous Iteration or Spaced Iteration. Space Hulk: Deathwing is a first-person shooter experience of Games Workshop’s classic Space Hulk boardgame set in the universe of Warhammer 40,000. 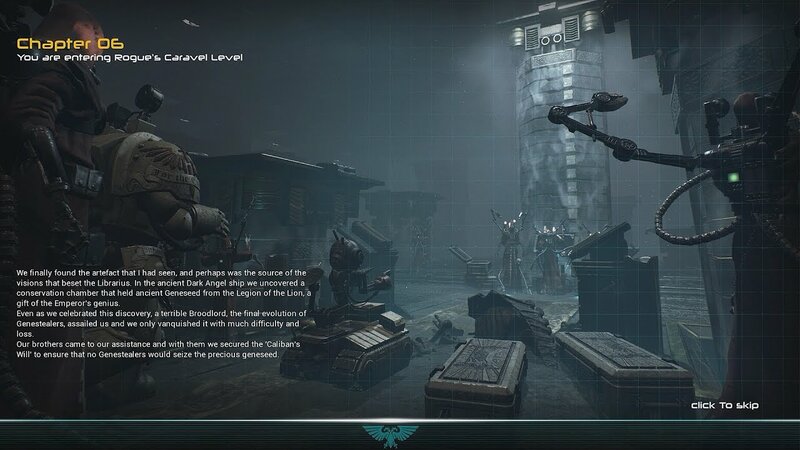 Developed on Unreal Engine 4, the game offers players the chance to experience a desperate battle against Genestealers in the claustrophobic tunnels of a Space Hulk, as they will gain skills, new abilities and new equipment thanks to experience earned during perilous missions. Tagged Game Designer, Level Builder, Level Designer, Unreal Engine 4.